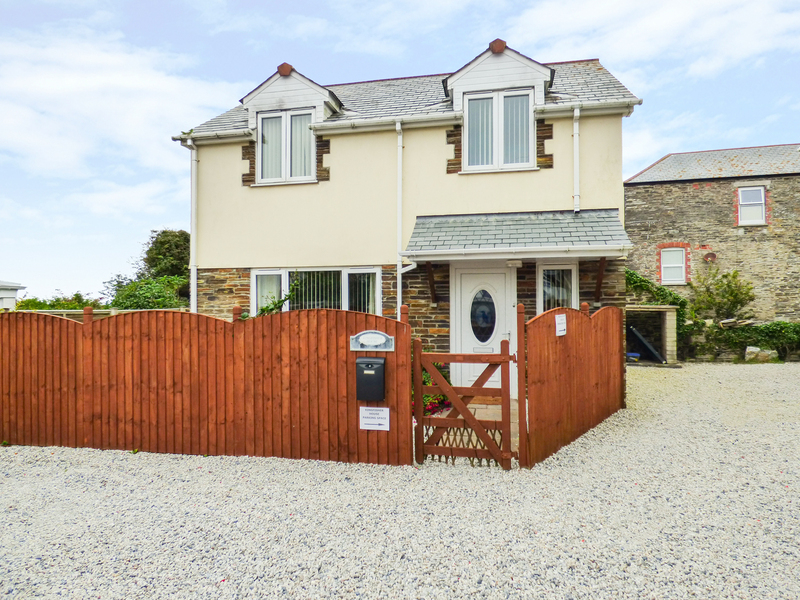 Kingfisher House is a detached house in the village of Tintagel in Cornwall. It has two bedrooms consisting of one double with a WC and a twin bedrooom, there is also a ground floor family bathroom, it can sleep four people. Also inside there is an open plan living area with a kitchen, dining area and a sitting area. To the outside is a rear patio with a table and chairs and off road parking. Kingfisher House is a charming cottage in an excellent location. Electric central heating. Electric oven and hob, fridge/freezer, washing machine, 40 inch Smart TV with Freeview, DVD. Fuel and power inc. in rent. Bed linen and towels inc. in rent. Ample off road parking. Gravelled garden with furniture. Two well-behaved dogs welcome. Sorry, no smoking. Shop and pub 5 mins walk. Note: Parking is suitable for cars only.